Amy Whiting has always had an interest in health, movement, and exercise. From circuit training to boxing to running, she is all in. 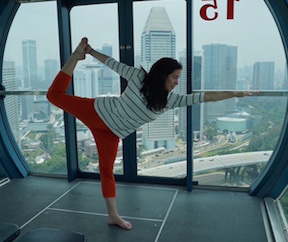 However, it wasn’t until Amy started practicing yoga daily that she began to truly connect to and understand her body. Amy enrolled in Yoga to the People’s New York City teacher training so that she could share her love for yoga with the masses. She soon thereafter completed YttP’s Traditional Hot Yoga Training. 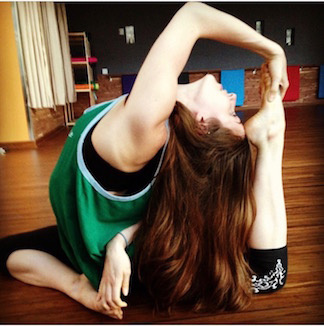 Amy has taught for Yoga to the People in New York City, San Francisco, Colorado Springs, and Tempe, Arizona. In addition, she has taught at Bikram Yoga Lake County, California, and Bikram Yoga Mesa, Arizona. Amy also holds a certificate as a health coach through the Institute for Integrative Nutrition. Most recently, her love for movement and the body brought her back to school for myomassology at The Arizona School for Massage Therapy in Tempe, Arizona. She will be a certified licensed massage therapist in the winter of 2016. Amy’s passion for nurturing the body and mind is a never-ending life commitment. Johnny has been teaching yoga for the past five years. In essence, the moment Johnny completed the Yoga to the People's Teacher Training he refused to leave and has dedicated his life to teaching yoga. Owner and part owner of several gyms in the tristate area, Johnny's background in health and fitness is serving him well. As one of the facilitators of the YTTP's Teacher Training Program, Johnny has spent time in YttP's SF, Seattle, Berkley, Tempe and NYC studios. Come be inspired by Johnny's class! 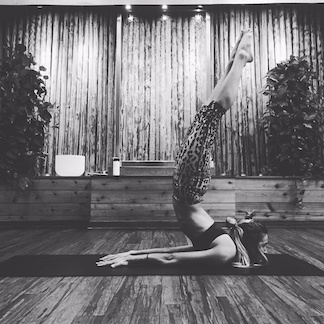 Nargiz took her first hot yoga class at Yoga to the People in NYC, and has been in love with the practice since. She completed YttP's hot teacher training three years later. 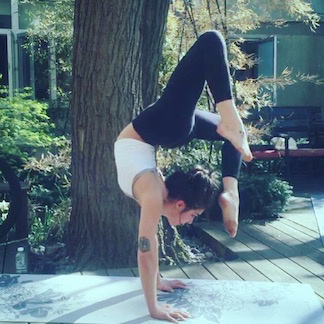 She has also been teaching and practicing different styles of yoga such as Ashtanga-Vinyasa yoga, Hatha yoga, Kundalini Yoga, Pregnancy Yoga, Unnata aerial Yoga, Kids Yoga and different types of Meditation for the last 5 years. She has studied, lived and taught in countries like the UK, Russia, Dubai, India, Italy and her home country, Azerbaijan. 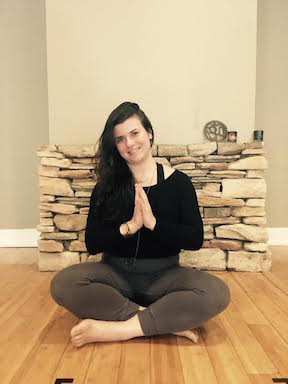 In her classes she hopes for and supports her students in experiencing a joyful, mindful and knowledgeable moving meditation. Hilarie has been a proud yoga studio owner and operator for close to twenty years. Some of her specialties include working with beginners, athletes (she is a former state champion of hurdling), and those using yoga to help heal injuries (she has been one of those too!) In addition, she is a certified nursing assistant and a registered environmental health specialist. Among these day to day achievements, Hilarie's greatest joy comes as a mother of two. She has a 16 year old daughter who is dedicated to perfecting the game of golf, and a 14 year old son who is skilled in mechanics and financial management. With a rich life, she enjoys teaching to all levels in a way that creates plenty of opportunity to work hard, while also encouraging student's to listen to his or her own body. With yoga, an improved attitude is her favorite benefit! ``Yoga... it's balm for your soul.`` ~Bjorn started practicing Vinyasa yoga seven years ago solely as a form of physical exercise. It didn't take long, however, before he became enamored with the practice and taken in by the more philosophical and meditative aspects of it. 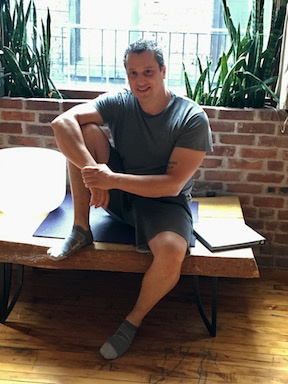 After completing his 200hr certification, he has taught Power Vinyasa Flow at the Saint Marks location of Yoga to the People, in the heart of the East Village. 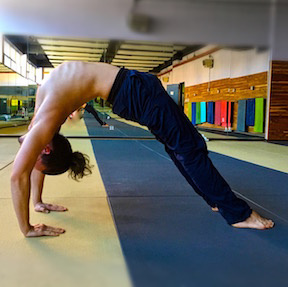 He feels fortunate being able to share the gift of yoga with others, and passionate about the possibilities it presents. Austin became interested in yoga in 2008 when his best friend introduced him to Yoga to the People, a donation based studio in New York city, where he immediately fell in love with the practice and never stopped. 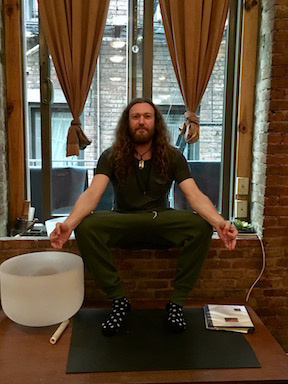 While his career and interests brought him to many places, including San Francisco, Boston, Austin, TX and Berkeley, he was always able to find home where ever he went on his yoga mat. 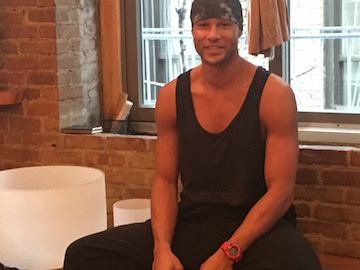 After completing YttP's 200hr certification program in power vinyasa, his curiosity moved him to pursue a certificate in traditional hot yoga. His passion for the practice and the community built around it continues to inspire and humble him, drawing him to the mat again and again.